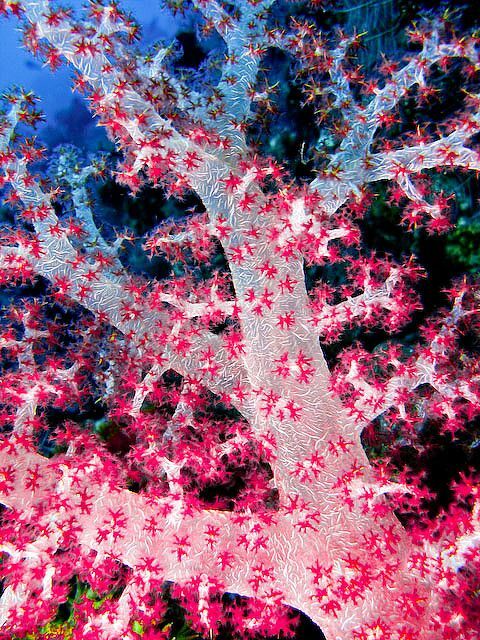 Dendronephthya or Carnation tree corals are way too beautiful. It is a genus of soft corals with about 250 species. 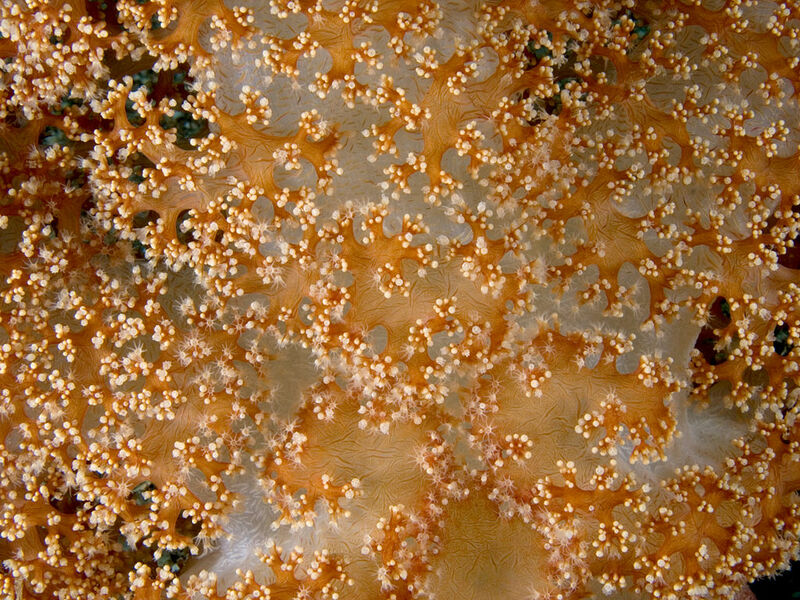 Here are some cool photos of that coral. 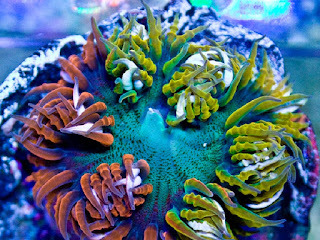 Carnation tree corals are colorful. 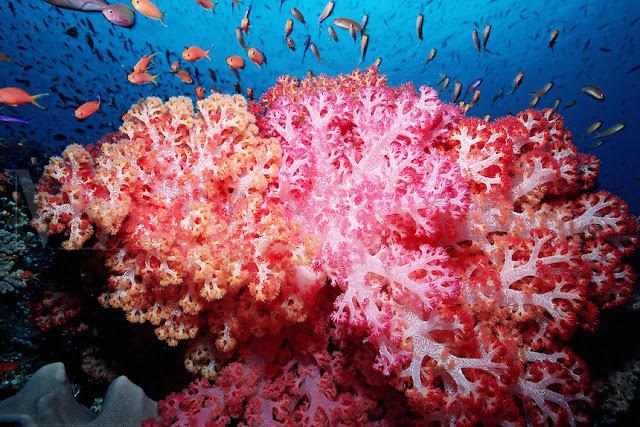 Some people also call these corals colored cauliflower corals. Yes, the resemblance with a cauliflower is too obvious. 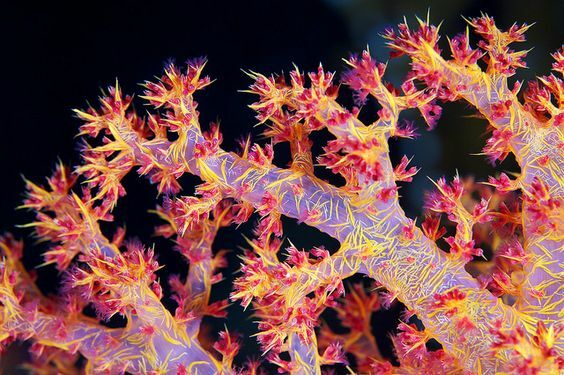 These corals have "stem" and "branches". At the end of each branch polyps bloom like some exotic flowers. Overall, the shape really looks awesome. 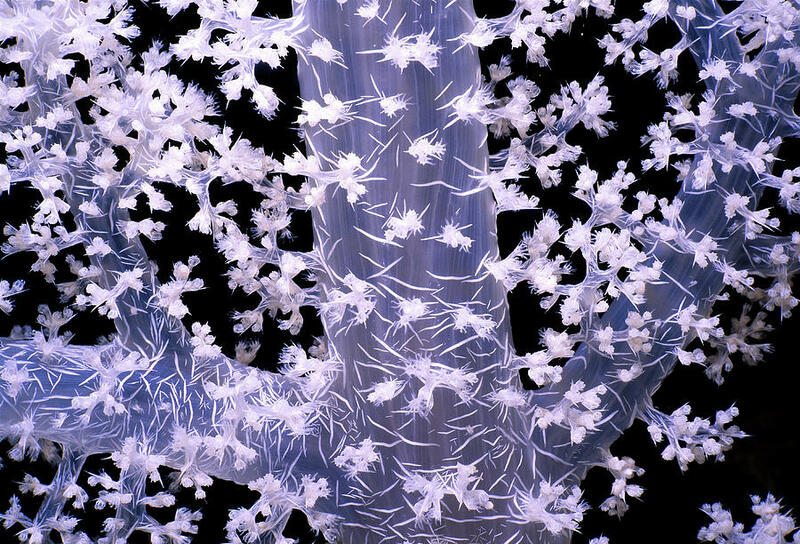 Despite of its resemblance with a tree, Dendeonephthya can't produce food by photosynthesis like some other corals. It's a night feeder animal. 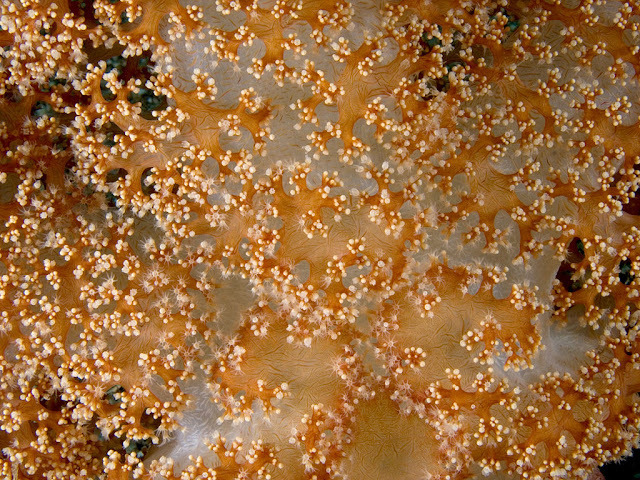 The food is plankton and so it's a filter feeder. 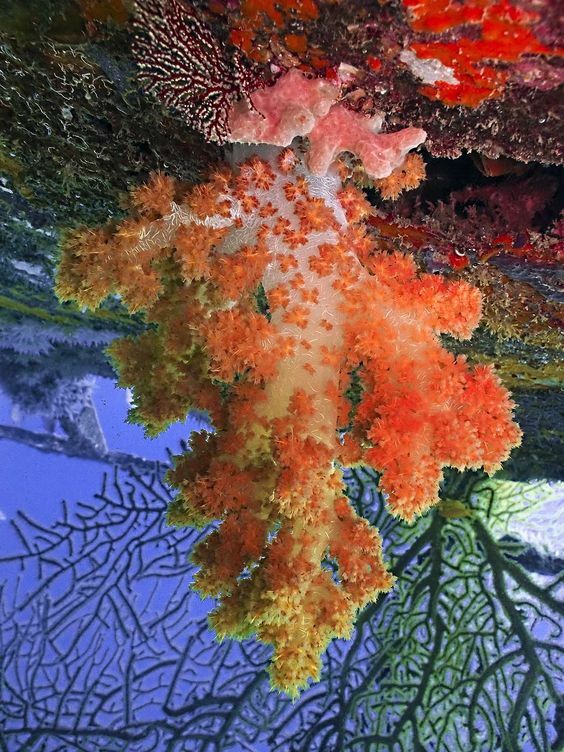 The carnation coral becomes inflated in night and becomes double in size. 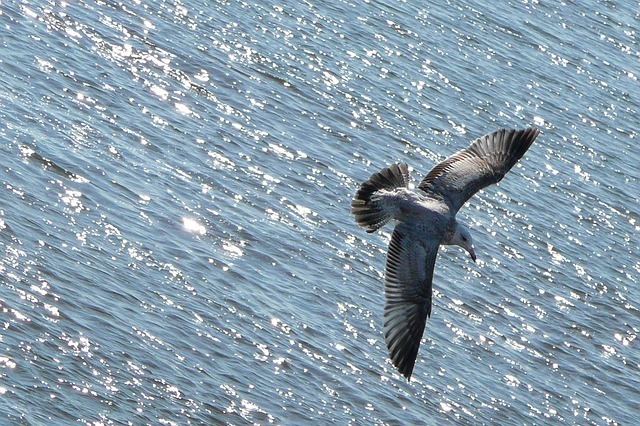 It is the time of activity. 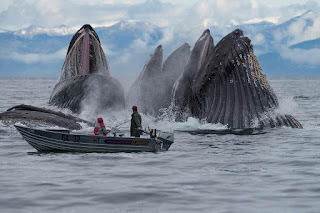 Look at this close photo. It looks like some very exotic flowers from a tree of other worlds. 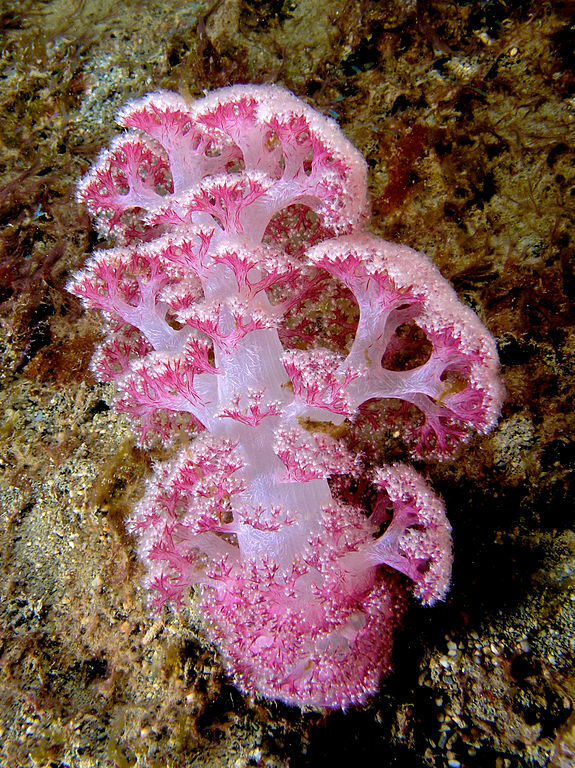 Some small creatures lives in symbiosis with various species of carnation coral. 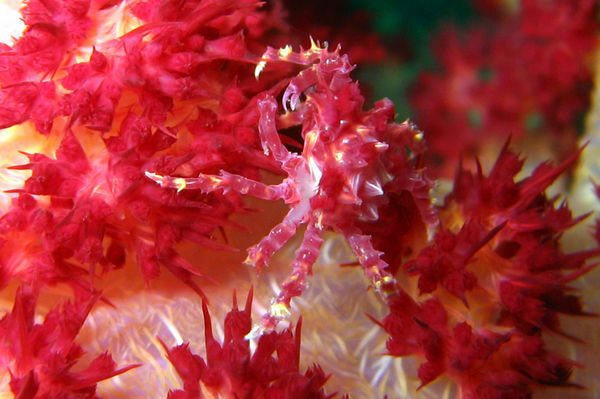 This small crab from the above photo is an example of it. Carnation corals are soft corals. So, there are no hard calcium carbonate structures. A white carnation tree. 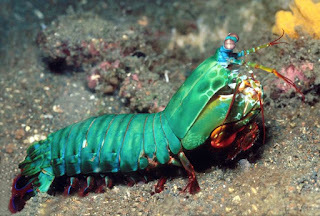 That creature is really awesome, is not it? 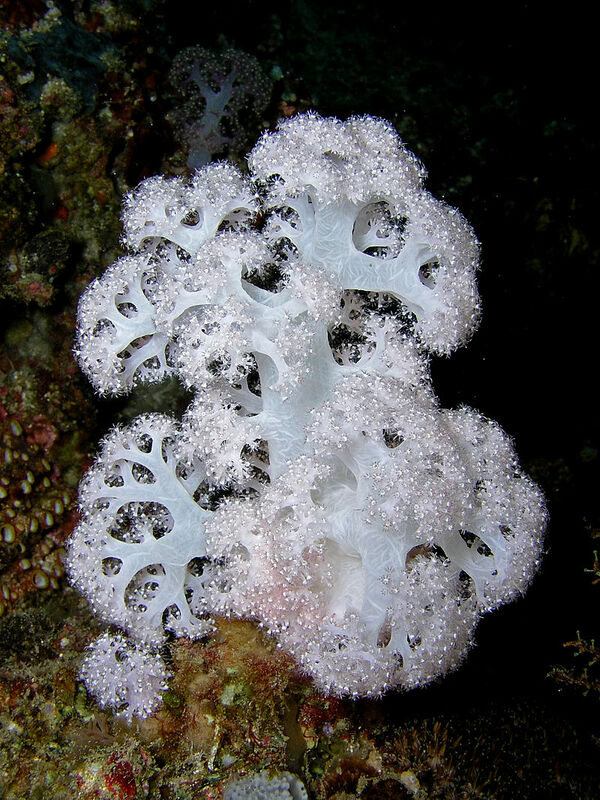 Carnation tree corals are difficult to keep in marine aquariums. 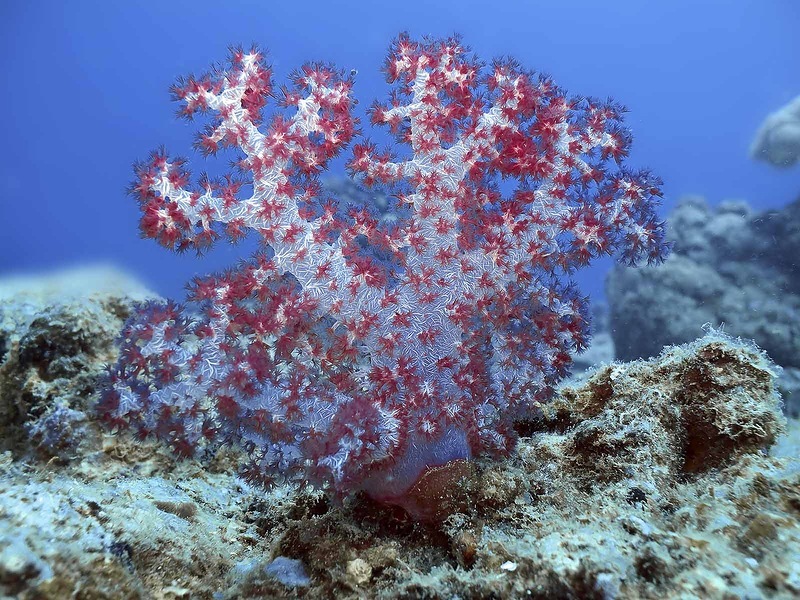 These are delicate animals. 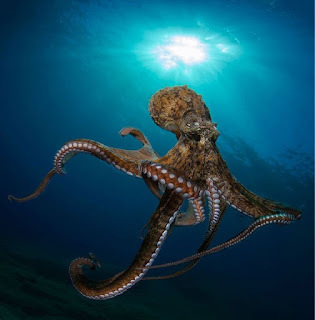 Without proper food, temperature, water quality - it is impossible to keep them alive for long.